America is a large and spread out area and because of that, almost every American family owns at least one car. In fact, most families own at least two and sometimes, according to the size and income level of the family, many more. Because cars are such a ubiquitous part of the American life style, people often equate cars with facets of themselves, such as appearance, personality, job, neighborhood, or social class. That is why it can be more than annoying when some minor mishap damages the car. When a fender bender, a scrape, hail or any manner of accident mars the cars surface, it is almost like it has marred their surface of the face that we project to the world. Also, dents, dings and scratches can present a more practical problem. Cosmetic damage to an automobile, no matter how small or irrelevant to the operation of the vehicle, can significantly lower the automobile's price when it comes time to resale it and trade it in for a newer, dent free model. Luckily, the auto repair industry has tapped into the level of annoyance and aggravation caused by common dents, dings and scratches and come up with several ways to help car owners repair the damage. One of these ways is by using paintless dent removal tools. Paintless dent removal tools are used in a process called paintless dent repair (sometimes called "paintless dent removal" and known in automobile repair circles as PDR). Paintless dent repair is a set of techniques that highly skilled body mechanics are able to use in order to fix those annoying dents, dings and scrapes. Using paintless dent removal tools, body mechanics are able to fix a whole host of cosmetic damage to a car. Paintless dent removal tools are commonly used in several ways – to remove hail damage from a car, to fix minor door dings, to fix minor body creases, and to smooth out minor bumper indentations. There is one very big problem with paintless dent removal tools when it comes to fixing body damage to cars. If paint is involved, paintless dent removal tools are probably not the right tools for the job. This is because paintless dent removal tools are not designed to work on car body problems where the paint was affected. For this reason, many common small scratches, or larger problems that caused significant damage, will require a whole other set of skills than the ones required to use paintless dent removal tools. Paintless dent removal tools cannot generally be used, for example, when the metal has been overly stretched due to the damage that occurred, or when the paint is not flexible enough for the technique to work properly. Though paintless dent removal tools may not be right for your auto body repair job, be sure to leave that determination up to the experts. Sometimes they can use paintless dent removal tools to get a job started before moving on to different techniques required to finish the auto body repair. This technique is called "push to paint," or sometimes, "push for paint." Another possible problem with paintless dent removal is that the trade is not regulated. Auto body mechanics do not require licenses to bill themselves at paintless dent removal experts, so when in the market for paintless dent removal, be sure to question your mechanic thoroughly before buying his services. Your best bet is to take bids and estimates from several auto body mechanics and then to go with the one who treats you the best and displays the best customer service and testimonials while offering a fair price. 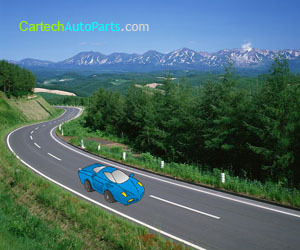 Though it may be tempting to go with the lowest priced mechanic, that may, in the long run, turn into a costly mistake.